Those interested in being part of the MasonJars.com Wholesale Program must apply and be approved by MasonJars.com to purchase on the Wholesale marketplace. MasonJars.com reserves the right to approve or reject any Wholesale application and to refuse service to anyone, for any reason, at any time. Seller's own Terms & Conditions may supersede these the Terms & Conditions set forth. PLEASE READ THIS MASON JARS MAKERPLACE WHOLESALE AGREEMENT (THE “AGREEMENT”) CAREFULLY BEFORE USING THE PLATFORM (AS DEFINED BELOW) AND SERVICES OFFERED BY MASON JARS MAKERPLACE. BY SIGNING THIS AGREEMENT, OR BY USING THE PLATFORM IN ANY MANNER, YOU OR THE ENTITY YOU REPRESENT (“WHOLESALER”) AGREE THAT YOU HAVE READ AND AGREE TO BE BOUND BY AND A PARTY TO THE TERMS AND CONDITIONS OF THIS AGREEMENT TO THE EXCLUSION OF ALL OTHER TERMS. IF YOU ARE ENTERING INTO THIS AGREEMENT ON BEHALF OF A WHOLESALER, YOU REPRESENT AND WARRANT THAT YOU ARE AUTHORIZED TO BIND WHOLESALER. USE OF THE PLATFORM AND ANY RELATED SERVICES OFFERED BY MASON JARS MAKERPLACE IS EXPRESSLY CONDITIONED UPON WHOLESALER’S ASSENT TO ALL THE TERMS AND CONDITIONS OF THIS AGREEMENT, TO THE EXCLUSION OF ALL OTHER TERMS. IF THE TERMS OF THIS AGREEMENT ARE CONSIDERED AN OFFER, ACCEPTANCE IS EXPRESSLY LIMITED TO SUCH TERMS. IF WHOLESALER DOES NOT UNCONDITIONALLY AGREE TO ALL THE TERMS AND CONDITIONS OF THE AGREEMENT WHOLESALER WILL HAVE NO RIGHT TO USE THE PLATFORM AND ANY RELATED SERVICES OFFERED BY MASON JARS MAKERPLACE. MasonJars.com has a variety of Sellers. A Seller is defined as a business or person offering products or services for sale on MasonJars.com. Lead times vary based on each Seller's wholesale terms and policies. Upon submission of your order, an order confirmation will be emailed to you. This is to confirm receipt of your order only and does not indicate an “in stock” status. Orders are processed in the order received, date and time stamped. Wholesale pricing is a percentage off of the advertised SRP (SRP-Suggested Retail Price) on our wholesale website, MasonJars.com (you must be accepted as a wholesaler and be signed-in to view the wholesale pricing). Pricing and discounts are determined by the Seller for their products. The wholesale discounted pricing is displayed online for each product. Pricing may fluctuate without notice, but confirmed order pricing will always be honored. Unless otherwise approved during the application process all wholesale orders must be placed through the MasonJars.com website. This is done to ensure accuracy of inventory so that items are clearly reflected as available or out of stock. Orders will not be taken over the telephone or from emails. Additionally, your order history will be available for your reference. You may create your account with your personal/company information. We do not store any private credit card or payment information and are PCI compliant. All orders must be placed in quantities listed in order to receive wholesale pricing. You will be automatically enrolled in our Wholesale Partner email Newsletter which notifies you of any promotions, Seller updates, and new products. All customers residing outside the US will be responsible for all duties, export fees, import fees, and taxes that may be imposed by the US or their respective country. These fees will be handled by direct billing by the carrier involved. Failure to pay these fees will result in a charge to the credit card used for payment of said duties, fees, and taxes with a USD $20.00 surcharge fee. U.S. retailers are encouraged to use the “Suggested Retail Price” and must comply with the Minimum Advertised Price as set forth by each individual Seller. Large variances in pricing or undercutting the market on a continual basis will result in the retailer losing their ability to be a reseller of MasonJars.com merchandise. Unless otherwise agreed upon all shipping charges will be added to orders. Shipping promotions advertised on the MasonJars.com website or elsewhere apply to retail sales only and do not apply to wholesale orders. Any Wholesale promotions will be communicated via Wholesale newsletter. Special offerings are valid only for the time specified, regardless of when orders are placed. Refunds or credits will not be applied on orders falling outside the dates of the offering. You may only sell purchased items at the business that is represented on your application. You may sell products via your online or brick and mortar store, or through private sale channels. You MAY NOT sell products purchased on MasonJars.com on any third party sites (such as but not limited to Amazon.com, Amazon.ca, Ebay.com, Sears.com, Jet.com, Etsy.com) throughout the world. Exceptions may be requested through MasonJars.com MakerPlace. Otherwise, this is a non-negotiable condition of any sale made between you and MasonJars.com and its Sellers. Custom branding, specific clients’ specs, and other custom requests may be developed. Please see each individual Seller’s Terms & Conditions to see if it applies, located on each Seller's page. All orders will be charged in full at the time of the order being placed. Please be aware that shipping cost can fluctuate depending on the size of the order without notice. Although we try to get as close as possible it is just an estimate. Wholesaler will be notified of changes in the total before shipping. 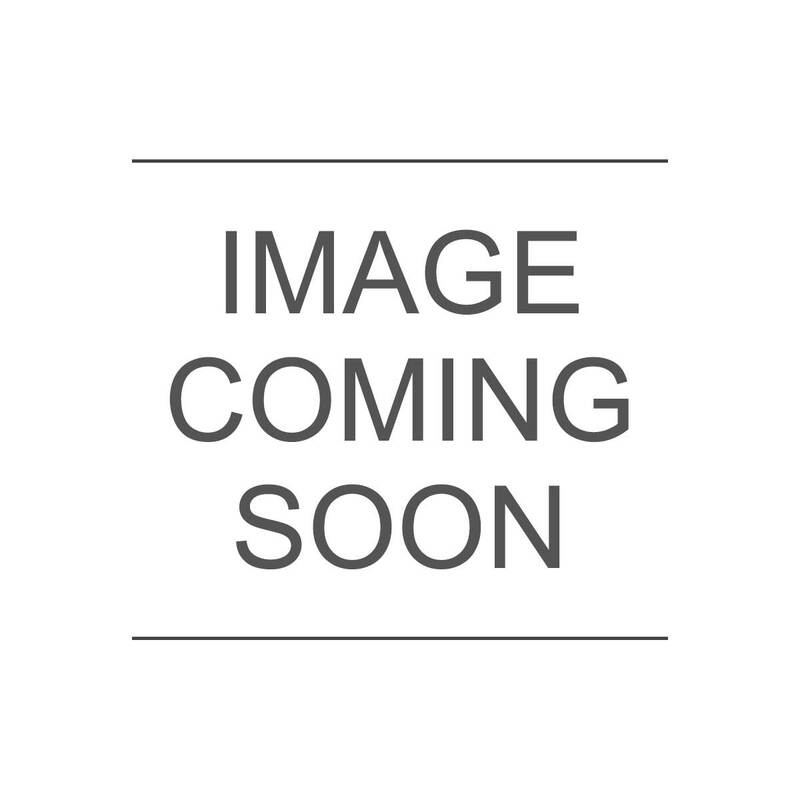 MasonJars.com accepts Visa, MasterCard, Discover, or PayPal for wholesale purchases. Requests for special payment terms such as net 30 payment and/or pay by check require credit references. Please request so on the application and include a detailed report with bank and vendor references. Certain restrictions may apply. When issued an invoice for an order, you agree to make payment in accordance with the Seller’s policies. Non-payment or late payment may result in the suspension or termination of your account and subject you to collection mechanisms or other consequences. For your protection, we do not keep or store credit card information on file; however, once you create an online account some of your information can be saved through our secure server. Please use our automated system for your security as it offers a protected credit card account mechanism for your convenience. Should a balance be due on goods for any reason, it will be required to be paid within 30 days. A 1.5% finance charge per month will be added to any unpaid balance after 41 days from the date of invoice. No orders will be accepted by accounts in poor standing. Accounts past due in excess of 180 days will have wholesale privileges revoked. Wholesalers may use photography and product placement obtained from MasonJars.com on their online stores or in their brick & mortar retail locations. Such photography and product placement used must refer to the product title and Seller accurately as it is displayed on MasonJars.com. Please use the photos provided and contact the Seller with any special requests. 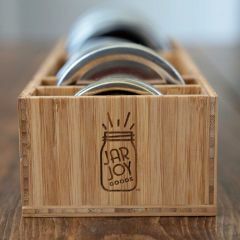 All photographs provided by MasonJars.com and Sellers are subject to Copyright Law provisions and are the property of their respective owners who have reserved all intellectual property rights. Photographs and other material are made available for use solely with goods and services provided through the MasonJars.com. Any other unauthorized use is strictly prohibited. All ordered goods are shipped via best method (USPS, UPS Ground, FedEx, or DHL) and freight will be charged at the time of shipment, based on location, size, and weight. Orders may be split and shipped separately to provide you with items as soon as possible. Shipping costs are estimated and will be added to your total invoice for each shipment unless otherwise requested and approved by the Seller. If there is a variance from the time of invoicing to shipping, the Seller will contact the Wholesaler for approval. Should any damage or loss occur, it is the receivers’ responsibility to alert the shipper so that the Seller may submit a claim on your behalf. You agree to allow Sellers and MasonJars.com to contact you via phone, email, or via a conversation on MasonJars.com regarding orders you place. Wholesalers shall not assign or transfer any rights or obligations under this Agreement without the prior written approval of Mason Jars MakerPlace and any attempt to do so shall be void and without effect. This Agreement represents the complete agreement and understanding between Mason Jars MakerPlace and Wholesaler with respect to the subject matter herein and supersedes any other written or oral agreement. The terms and conditions of this Agreement may only be modified or provision hereof waived in a writing signed by both parties. The invalidity or unenforceability of any provision of this Agreement shall not affect the enforceability or validity of any other provision. This Agreement shall be governed by the laws of the State of Pennsylvania, without regard to conflicts of laws provisions thereof. In any action to enforce rights under this Agreement, the prevailing party shall be entitled to recover costs and attorney's fees. This Agreement is governed by the U.S. Federal Arbitration Act, applicable U.S. federal law, and Pennsylvania state law, without reference to any applicable conflict of laws rules, the Convention on Contracts for the International Sale of Goods, or any local laws implementing the Convention on Contracts for the International Sale of Goods in any jurisdiction where the Products are sold. Any dispute arising out of this Agreement will be resolved by binding arbitration, rather than in court. There is no judge or jury in arbitration, and court review of an arbitration award is limited. However, an arbitrator can award on an individual basis the same damages and relief as a court (including injunctive and declaratory relief or statutory damages), and must follow the terms of this Agreement as a court would. To begin an arbitration proceeding, you must send a letter requesting arbitration and describing your claim to our registered agent MMI Intellectual Property, 900 State Street, Suite 008, Erie, PA 16501. The arbitration will be conducted by the American Arbitration Association (AAA) under its rules, including the AAA's Commercial Arbitration Rules. The AAA's rules are available at www.adr.org or by calling 1-800-778-7879. Payment of all filing, administration and arbitrator fees will be governed by the AAA's rules. Arbitration conducted in person will be in Erie County, Pennsylvania or at another mutually agreed location; however, you may choose to have the arbitration conducted by telephone or based on written submissions. You and we each agree that any dispute resolution proceedings will be conducted only on an individual basis and not in a class, consolidated or representative action. If for any reason a claim proceeds in court rather than in arbitration you and we each waive any right to a jury trial. You and we also both agree that you or we may bring suit in court to enjoin infringement or other misuse of intellectual property rights. Wholesaler represents and warrants that it has the right and ability to execute and fulfill the terms of this Agreement. WHOLESALER AGREES TO INDEMNIFY AND HEREBY HOLDS MASON JARS MAKERPLACE AND ITS RESPECTIVE OFFICERS, DIRECTORS AND EMPLOYEES HARMLESS FROM AND AGAINST ANY AND ALL CLAIMS, DAMAGES, LOSSES, LIABILITIES, COSTS AND EXPENSES (INCLUDING REASONABLE ATTORNEY FEES AND EXPENSES) BASED ON, RELATING TO OR OTHERWISE ARISING OUT OF ANY THIRD PARTY CLAIM THAT MASON JARS MAKERPLACE’S USE OF THE PROPERTY PROVIDED BY WHOLESALER TO MASON JARS MAKERPLACE, INCLUDING ANY PHOTOGRAPHS, INFRINGES OR OTHERWISE MISAPPROPRIATES ANY INTELLECTUAL PROPERTY RIGHT(S) OF ANY THIRD PARTY OR VIOLATES ANY MORAL OR PERSONAL RIGHTS, INCLUDING RIGHTS OF PUBLICITY AND PRIVACY. Standard terms and conditions 9-04-2018 - These terms are strictly enforced. 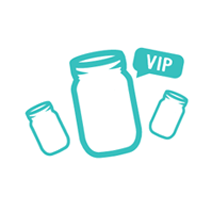 MasonJars.com reserves the right to modify Wholesale Terms & Conditions, so please review these terms periodically.